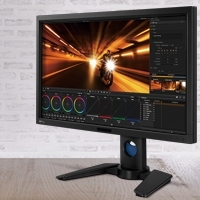 Featuring a Full HD 1080p native resolution, a brightness of 3000 ANSI lumens, and a high contrast ratio of 10000:1, the MH630 delivers a stunnig full screen presentation with the finest details for business applications regardless of the ambient light. 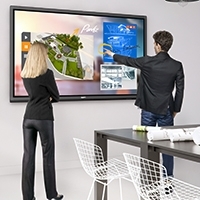 With the BenQ MH630, business presentations will never look the same! The MH630 supports multiple video formats including 480p, 576p, 720p, 1080i and 1080p - giving you the flexibility to present in the latest video formats with Full HD quality. The BenQ MH630 sets a new standard of video presentation that delivers 5X more detail than traditional 480p projectors. 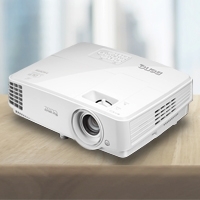 Offering lower maintenance cost, uncompromised brightness, exquisite picture quality and optimized lamp life – BenQ's SmartEco technology has perfected what a DLP projector can do in a business projector. With this special innovation, you are able to save up to 70% of lamp power consumption and lower maintenance costs through dynamic power saving features while bringing an ultra-vivid picture quality in every meeting room. The automatic switch to Eco Blank Mode after the projector is turned on for over three minutes without a display source, eliminates unnecessary energy waste and prolongs the life of the projector lamp. When inactive, the MH630 keeps power consumption to a minimum with 0.5W standby power, achieving what was once a challenge for earlier projector models. This technological advancement in energy saving certainly helps extend the projector lamp life and lower energy costs. The automatic power off after the projector is turned on for over 30 minutes without a display source, eliminates unnecessary energy waste and prolongs the life of the projector lamp. The MH630's 1.3x zoom feature opens up space with an impressively wide range of throw distances. All you have to do is simply place the new projector right where your original ceiling mount is. Without adding projector venue re-construction costs to your budget list, you'll get to save the money for better use. 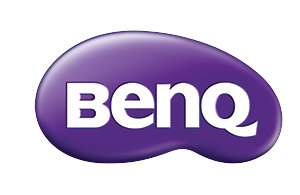 BenQ MH630 is built with latest DLP® technology to support 3D functionality, allowing corporations and schools bring an immersive learning experience to their students with a simple preparation of 3D glasses and 3D content from your Blu-ray player. With the built-in speaker, the MH630 can be used as an audio system when it's on the standby mode. This saves you the trouble as well as the extra budget for getting a separate audio system. By pressing the Quick Install key on the remote control, the installer can quickly access installation related functions in the OSD menu.